Is it cardio, weight training or a Zumba class that gets you to the gym? Whatever way you like to workout and whichever way you need to workout in order to achieve the results you want - Village Gym is sure to inspire you. 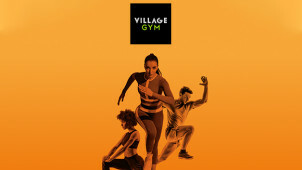 With all that you could need to attain exceptional health, fitness and wellbeing, all under one roof, with Village Gym, a better you and a positive lifestyle is just around the corner! Chic surroundings will welcome you in each establishment, and whether you’re getting fired up in a spinning class or listening to essential tips from your personal trainer, the Village Gym staff are there to guide and support you as you find fitness! Cross trainers and rowing machines are just the beginning as you’ll find top gym equipment to ensure that your workout stays strong. Follow a session with a cheeky trip to the sauna, or go for a swim in the heated pool - there’s a high chance that you won’t feel like you’re at the gym after all! How do I use my Village Gym promo code? Choose the promo code you’d like to use and click our link to find a Village Gym near you. Click ‘Join Now’ to choose a membership, then enter your promo code. Continue and confirm the membership that suits you for less. Stay at your peak fitness level and keep your finances in check by signing up to the Village Gym newsletter. Is there a Village Gym membership for students? There certainly is, Students can enjoy an exclusive Village Gym membership package that is full of perks. Where is my nearest Village Gym? Find a Village Gym Club near you online. Can I view the Village Gym class timetable online? With more than 100 classes to enjoy per week, you will be able to check out and download class timetables on each individual gym page. Be sure to check the terms and conditions of your gym membership contract for details on cancellations. Simply find your closest Village Gym to access opening times plus plenty more information. Contact Village Gym using the online form. If you take your health and fitness seriously, if you like to see results and feel fantastic too, then the Village Gym is the place for you. Sporting the latest fitness equipment in each impressive gym across the UK, a Village Gym promo code will let you save on everything that you need to be a better you. Start on the cross-trainer, dive into the heated pool or discover one of the many exciting classes available - a Village Gym membership will let you stay in shape, your way. When you become a Village Gym member, you’ll also become part of the Village Club. Entitling you to heaps of benefits, this is the perfect reward for putting your health and fitness first! Think member only discounts at high street favourites like M&S, New Look, Harvey Nichols and B&Q, however you like to shop, every gym bunny is in for a real treat. There are plenty of Village Gym membership packages to choose from, so you’re sure to find one that suits your budget and your lifestyle. Whether you need an off peak membership, if you’re looking to pay annually or by month, a Village Gym discount code will let you enjoy sheer flexibility on one truly exceptional gym experience. Welcoming students and people in all types of profession too - the Village Gym moves with you so that you can simply move more.